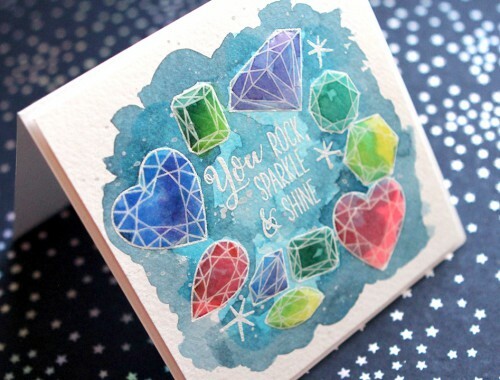 Today I have a fun card for you featuring new products from Newton’s Nook. 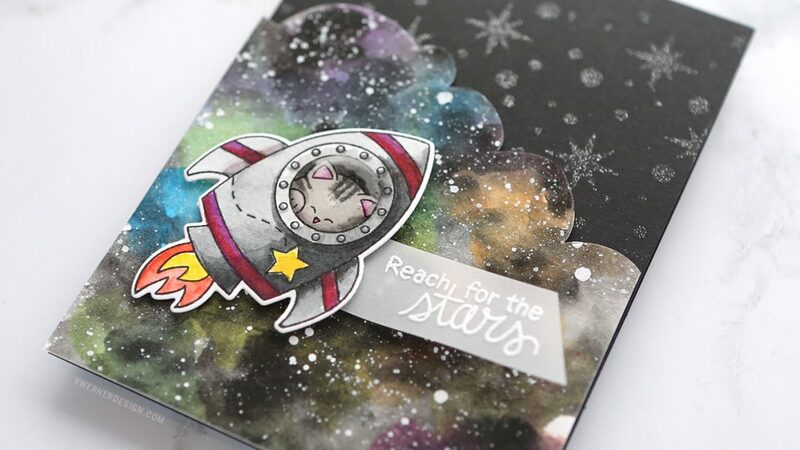 They sent along a new stamp set with Newton (the kitty in their stamps) as an astronaut! So cute! I also used the coordinating dies and a new stencil. I’m still sort of obsessed with creating watercolor galaxies, so I knew right away after seeing the Cosmic Newton stamp set that there would be a galaxy somewhere on the card. I just can’t resist! To create the galaxy, I first painted a layer with bright colors from the Sakura Koi Pocket Field Sketch Box watercolors. After it was dry, I painted another layer over the top but using black watercolor. This allows for the bright colors underneath to show through the black and give hints of color. To finish it off and to add stars, I flicked some white gouache off the edge of an acrylic block. 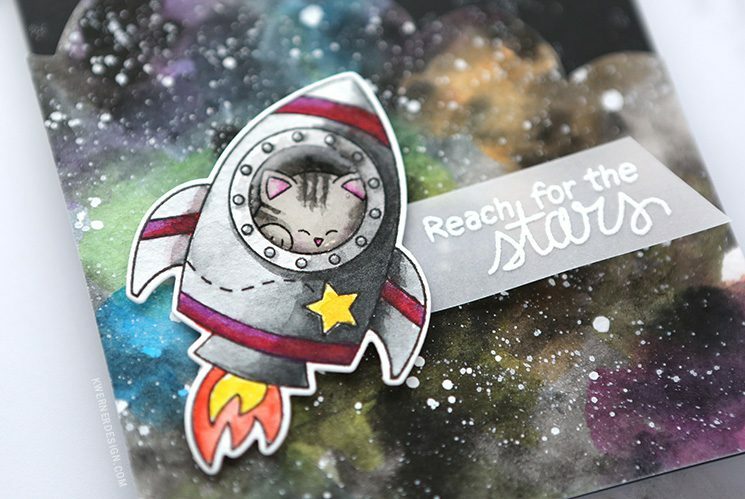 Astronaut Newton was painted using the same watercolors, and then die cut the image using the Cosmic Newton coordinating dies. 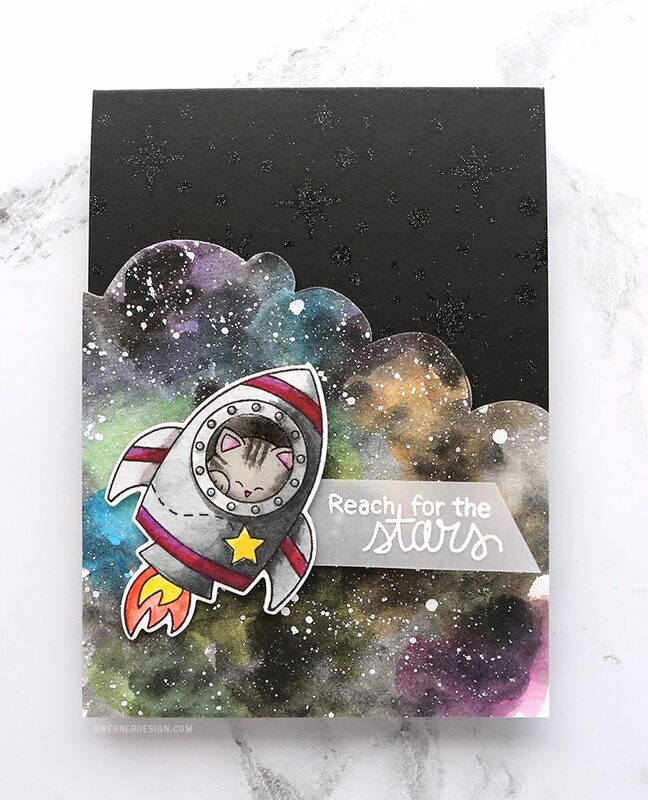 When it came to using the Starfield stencil, I placed the stencil over some black cardstock, and then sprayed Silver Glitter Dust over the entire cardbase. For more details on how this card was created, please watch the video below.